Embedded deviceWISE API and m2mAIR Cloud service simplify the creation of applications for m2m and the Internet of Things. 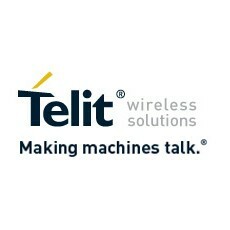 Telit Wireless Solutions, a leading global provider of high-quality machine-to-machine (M2M) modules and services, today debuted its first m2mAIR Cloud-ready wireless modules, designed to simplify the development and deployment of comprehensive M2M and Internet of Things (IoT) applications using the m2mAIR Cloud service – an important step toward realizing the company’s vision of the Internet of Things made Plug & Play. Telit Cloud-ready modules let developers connect and integrate things-to-cloud with just a few simple clicks in little time. Cloud-ready modules feature embedded APIs that are compatible with the well-known Telit on-board AppZone and Python environments and reduce hundreds of lines of code to 16 simple AT commands to move data automatically between remote devices in the field and relevant applications. All the necessary developer resources and support are included and an Evaluation Kit is available for rapid prototyping of custom m2m and IoT device solutions. The m2mAIR Cloud Platform-as-a-Service, powered by deviceWISE, offers a simple “pay-as-you-grow” usage-based subscription plan – reducing risk, time-to-market, complexity and cost versus building your own point-solution. deviceWISE is an open, developer-friendly, carrier-grade platform, compatible with the TIA TR-50 standard. m2mAIR Cloud features comprehensive management and configuration capabilities to connect, collect, and control anything with bi-directional data transfers between remote devices and the Cloud – from basic entry-level solutions to full-scale enterprise-grade deployments across the globe. The click-to-Cloud simplicity of Cloud-ready Telit modules and the m2mAIR Cloud service will be on display this week in the M2M Zone at CTIA, booth #5628. Developers interested in working with the new embedded API should visit www.telit.com/trym2maircloud to participate in a free trial.